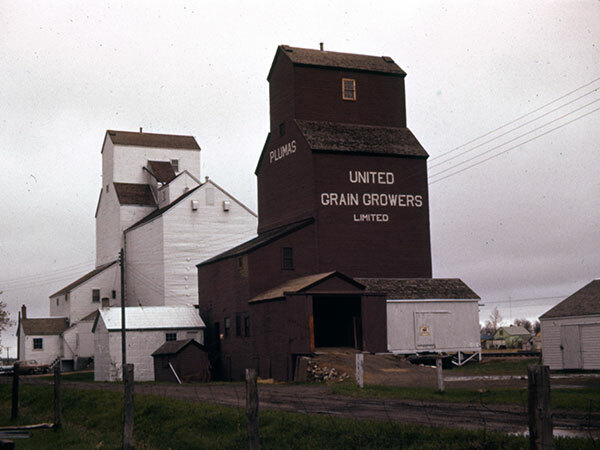 At one time, United Grain Growers had three elevators at Plumas, on the CNR Gladstone Subdivision in what is now the Municipality of WestLake-Gladstone. One of them dated from May 1926, replacing an earlier elevator from around 1912 that had been leased then purchased by UGG in August 1924. This elevator was destroyed by fire on 28 December 1974 and not rebuilt. 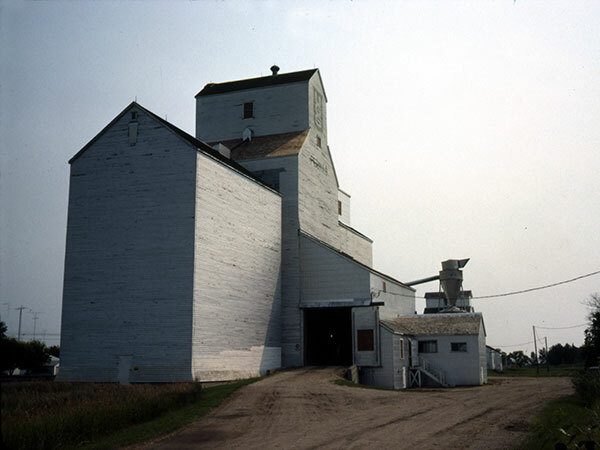 A second UGG elevator, known as Elevator #1, was formerly owned by the Western Canada Flour Mills. Built in 1898, it was purchased by UGG agent J. F. Rogers and resold to the company in June 1940. The third UGG elevator, known as Elevator #2, was constructed in 1949. Renovated in 1976, an annex from Tenby was moved beside it in 1977. United Grain Growers Fonds, MSS76, Box 60 [Plumas], University of Manitoba Archives & Special Collections. Obituary [Edwin Gilbert Person], Winnipeg Free Press, 29 April 2000.